Our initial survey of birds didn’t go well. We chose a windy morning, so had fewer visitors than usual. 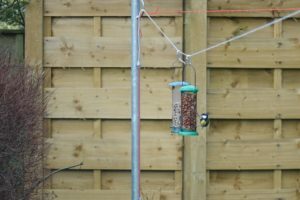 We decided to get some more bird feeders that afternoon to see if it made a difference. 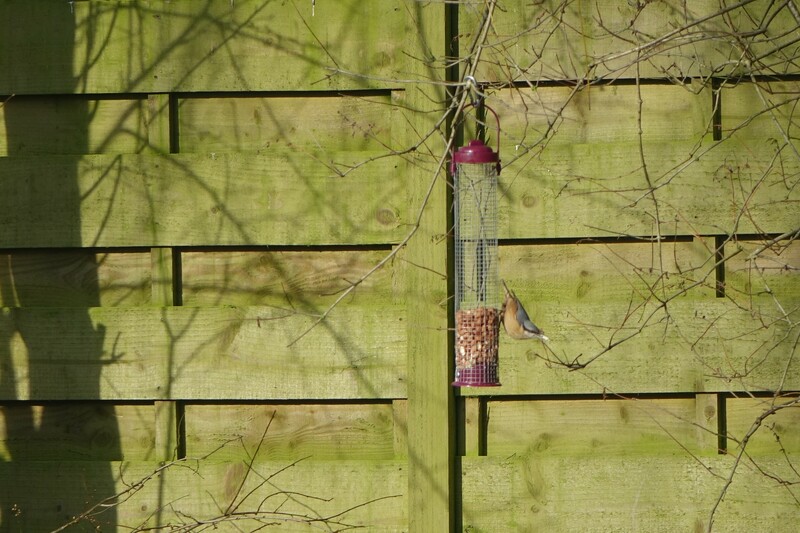 I have seen so many different varieties of birds in the past fortnight that I’m astonished. I seem to have become what some people would call a “twitcher”. 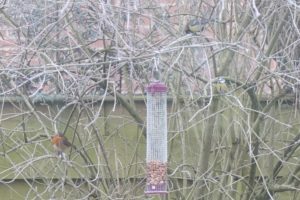 My husband has been querying whether I have got any work done at all, after the photos I’ve been sending him to help identify birds. He grew up in the countryside, whereas my home was near the beach. The birds I saw on a regular basis were mainly seagulls, with the odd blackbird or starling thrown in. As I’ve mentioned before, we now live next to woods. It doesn’t feel like the countryside, as there is a big dual carriageway within a few hundred metres. 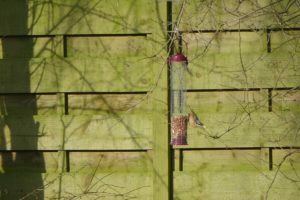 However, now that I actually take time to look, there is a startling amount of birds visiting the garden – some I’d never heard of before. We also have some less welcome visitors. I’ve always loved seeing squirrels race up and down the top of our fence. 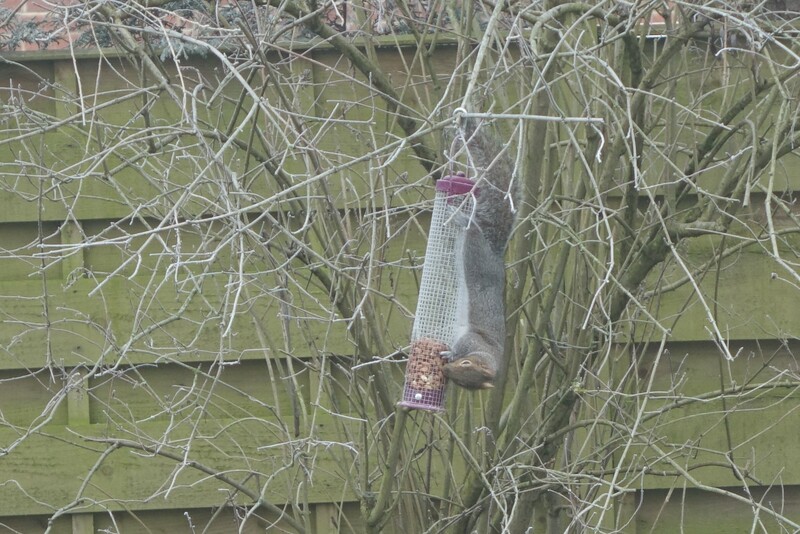 We also used to have squirrels visit in our previous garden. 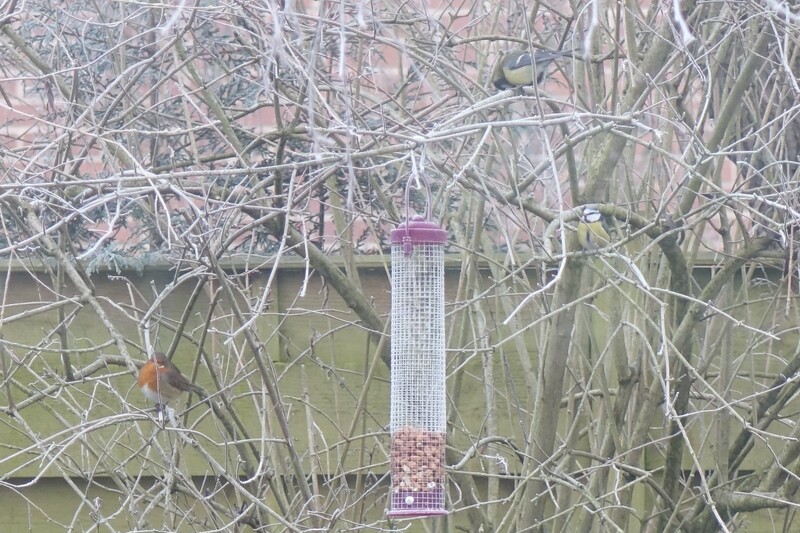 I didn’t realise how difficult it would be to stop them eating the peanuts. “I know!” I think. “I’ll hang them on a weaker branch that the squirrels can’t climb on.” The consequence of this was that the weight of the squirrels snapped the branch off. They then enjoyed a feast on the lawn. I didn’t learn – I tried it a number of times. In the end the stronger branch was the only way. I was a little like Mr McGregor – opening the back door and clapping my hands to try and get rid of the squirrels as they ate. The kids thought it was hilarous. “They need food, too, Mum!” I was told. My fury reigned on. 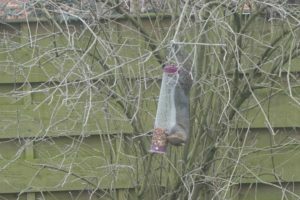 It didn’t bother the birds – they just waited until the squirrels had gone, and then came back to the feeder in their own time. I think I need to learn a lesson from those birds. They are a treat to watch. They go about their business without letting things get them down. Another bird is on the feeder – I’ll join it. I will spend time making a beautiful yet functional nest for my family. I’ll wait until the squirrels have finished before I get my lunch. It reminds me of how our relationships with other people can be improved by not letting certain things bother us. One person I have to deal with on a regular basis is so lovely to my face. However, her emails to me can be vicious, and I know she complains about me behind my back. I was finding this a little frustrating, and it really got to me a couple of weeks ago. A friend pointed out that if what I am doing is all she has time to think and complain about, it’s a pretty sad life. Once I really thought about this, I was able to let it go. I won’t let that squirrel get me down. Before we let other people’s actions take over our own emotions, we can stop to take stock. Does it matter what they think? Can we encourage them to behave in a different way? Or can we simply let it go, accepting that our time and energy is better spent on something else? This is very true! Sometimes it’s just better to pick our battles, right? The therapeutic effect of nature and animals is undeniable. Keep enjoying the squirrels. I don’t often see red squirrels. We love them! One of my new years resolutions was not to let little things bother me. If it doesn’t concern me I’m learning to walk on by and spend all the energy on to something more positive. This is such a lovely post, in both ways. 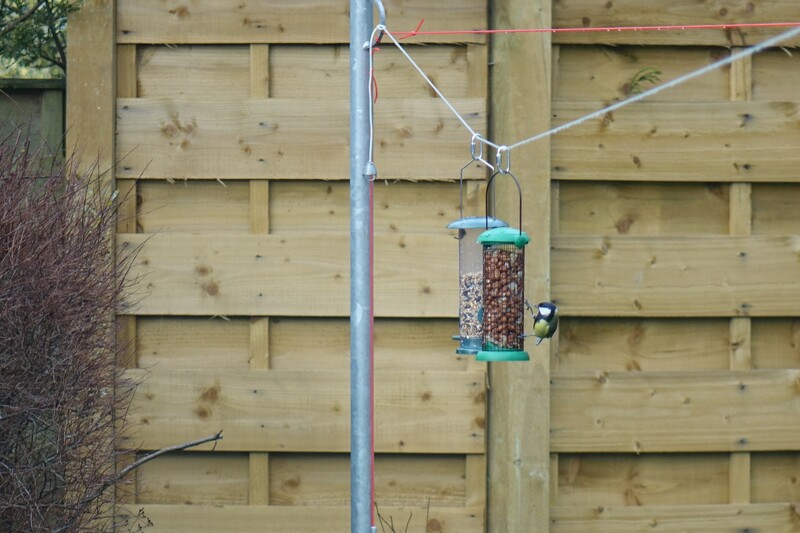 It must’ve been so lovely to see so many birds in your garden (we have cats so we never see any!) but I definitely agree about what you said, we absolutely must pick and choose our battles, no matter how hard! My grandpa lives in the countryside and has a blackbird and a robin that visit him daily. He calls them when he’s outside and they come flying over for their breakfast, lunches and dinners. It’s all very sweet…but he definitely has his fair share of squirrels too! I think we all have someone who loves to complain about us behind our backs and your friend was so right with what she said!